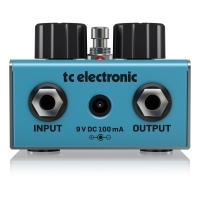 The TC Electronic Tailspin Vibrato is a pretty natural sounding classic true pitch vibrato pedal effect. It is extremely affordable too. 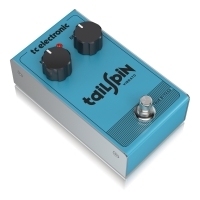 The Tailspin has a classic ‘80s inspired vibrato circuit and is built with the all-analog bucket-brigade design in order to bring a nice and warm tone to your signal. We liked its vintage-style sound. 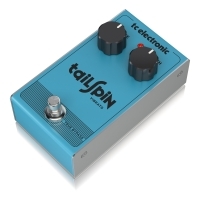 For someone who uses a vibrato pedal all the time it may be a too simple pedal, but for those who need a vibrato on their board for the occasional use we strongly suggest checking the TC Electronic Tailspin Vibrato out.